A new PV solar panel system with specially designed positioning along the gutter, is the result of a collaboration between Azrom and PV solar system designer Sunboost. 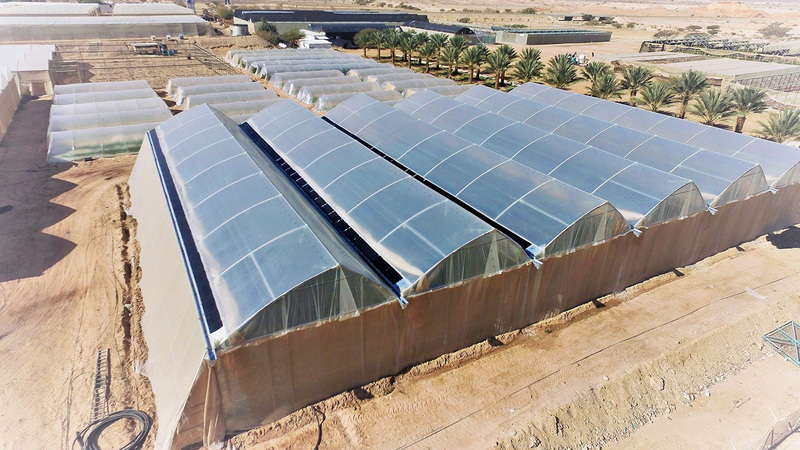 The “Coral Solar” greenhouse was specially designed by Azrom according to the SunBoost system requirements to direct sunlight into the greenhouse when required by the crops and to the photovoltaic (PV) system when sunlight is in excess. 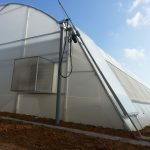 The Coral Solar Azrom’s Greenhouse combines specially positioned high efficiency PV panels and priority optical Booster panels that enable smart directing of sunlight. SunBoost’s smart PV positioning covers roughly 10% of the roof area but the smart positioning of the system prevents shading (average of 3% shading!!) when sunlight is required to maximize crops. Now farmers can enjoy stable and bankable income without sacrificing arable land for the installation of solar systems. 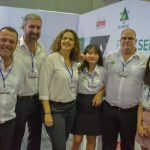 Azrom and SunBoost have just recently completed a field experiment in collaboration with the Central and Northern Arava R&D, in the south region of Israel. Two crop cycles; bell peppers and cucumbers, were grown under the PV integrated roof and as reference under a “no PV” roof. In both crop cycles, yields were similar. Annual Electricity production capacity of the PV system is expected to reach 260 to 350 KWh per hectare. For example, A farmer in Hazeva near our demonstration site is expected to earn from the electricity more that 29,000 $US per year per hectare. 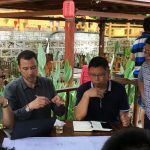 “We have found the way to engineer the greenhouse’s special, non- symmetric geometry, so that it can carry the system over a minimum surface area of the roof and in a location, that will make the shade minimal” said Mr. Boyan Dulitz, Head engineer in Azrom. “Another issue that supports our enthusiasm in the collaboration with SunBoost”, says Mr. Zvi Porat, Azrom’s International Marketing Manager,” is the use of clean alternative energy, that preserves the environment and human life, not only matches the values and vision of Azrom, but also matches national interest in many countries which supports farmers that choose to use sustainable energy with a predictable and stable power production.